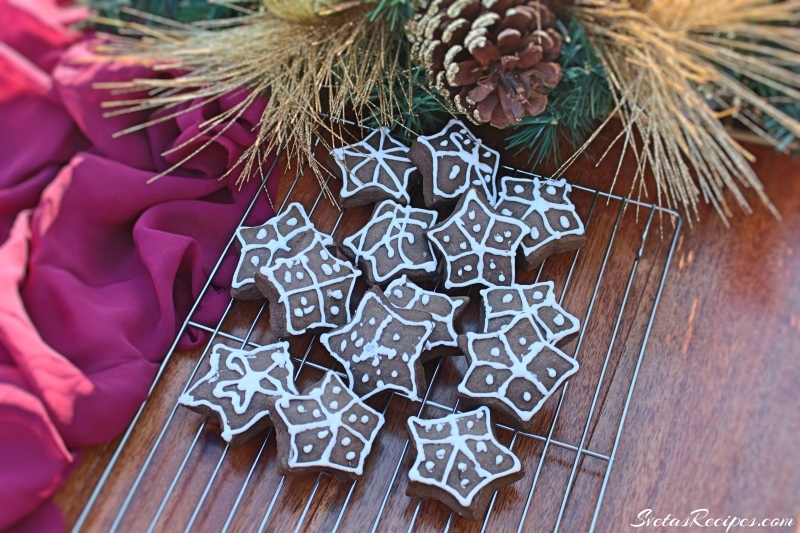 Celebrate the holidays with these yummy cookies on the table. I like to make them with my grandkids and they have a blast decorating them. 1.) In a large bowl add your sugar powder and 2 egg yolks. 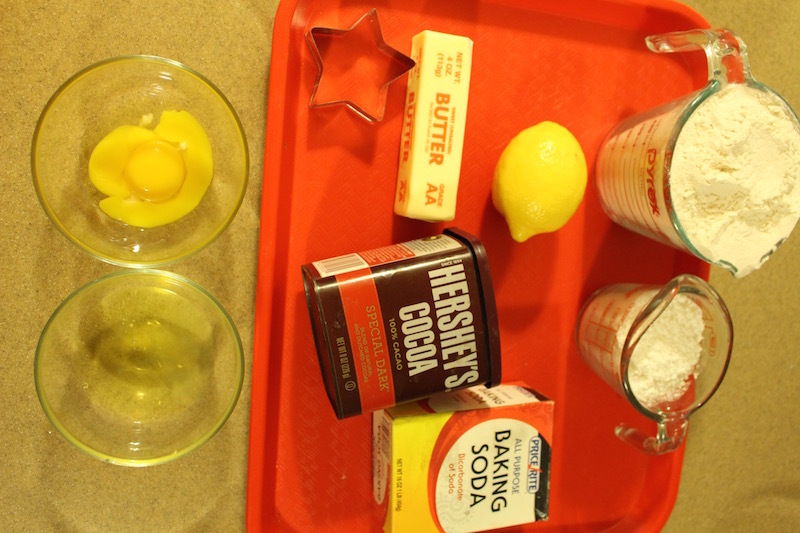 In a separate bowl add your baking soda and your lemon juice, also mix well. After combine the 2 mixtures and also add 1 stick of butter and sour cream. Mix together well so you have a fine liquid. In a measuring cup add your sifted flour and cocoa powder. Mix together well until it is one color. 2.) Add your cocoa powder mixture to your liquid mixture and mix well. On a lightly floured surface kneed your mixture until it is smooth and elastic. Roll out your dough and use a star form to make cuts in the dough. 3.) 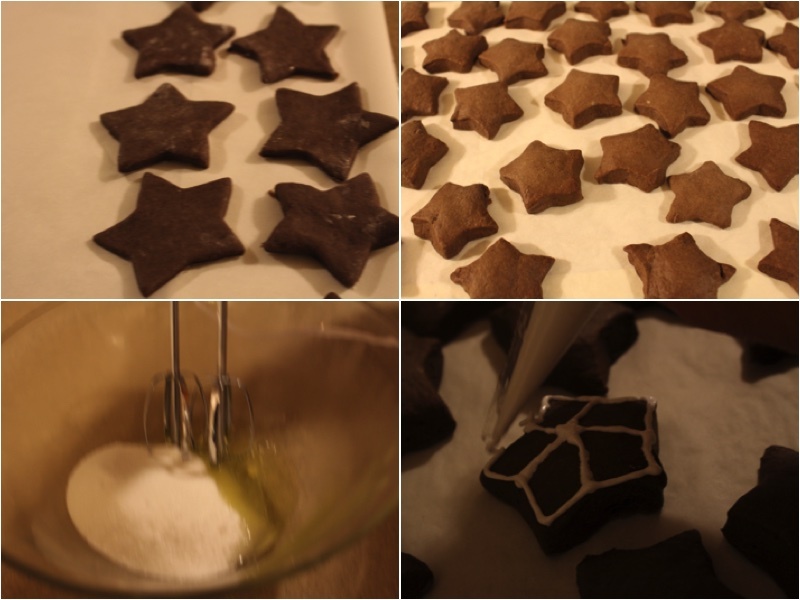 Place your stars on a baking pan with parchment paper. Bake for 35 minutes on 375F. In a mixer mix your sugar and egg whites. Place it in a decoration bag without a tip and pipe custom designs on your stars. Place on a serving dish and enjoy. This is a very yummy and easy recipe to make. Its great for the holidays that are soon coming up in the future. In a large bowl add your sugar powder and 2 egg yolks. In a separate bowl add your baking soda and your lemon juice, also mix well. After combine the 2 mixtures and also add 1 stick of butter and sour cream. Mix together well so you have a fine liquid. In a measuring cup add your sifted flour and cocoa powder. Mix together well until it is one color. Add your cocoa powder mixture to your liquid mixture and mix well. On a lightly floured surface kneed your mixture until it is smooth and elastic. 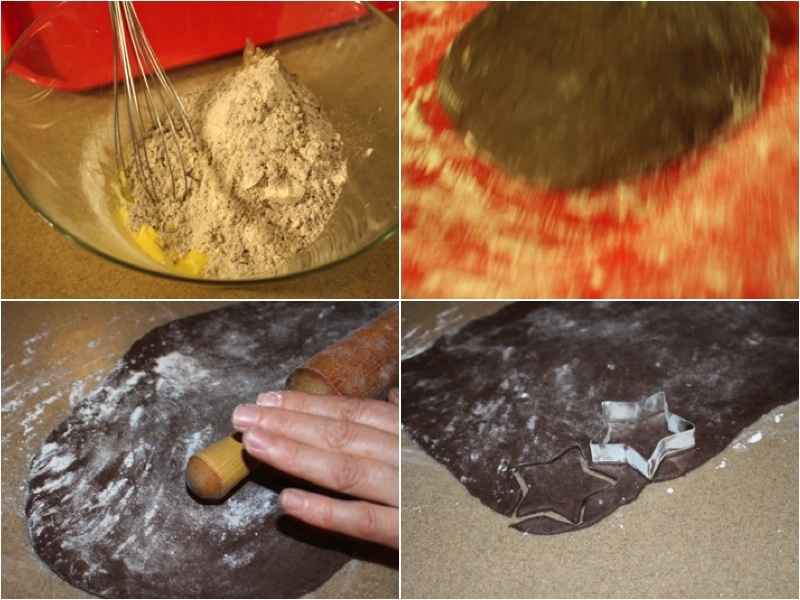 Roll out your dough and use a star form to make cuts in the dough. 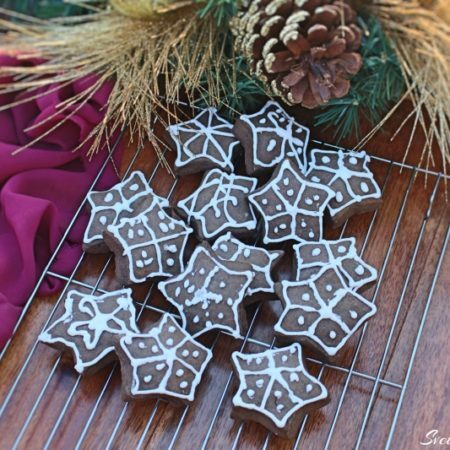 Place your stars on a baking pan with parchment paper. Bake for 35 minutes on 375F. 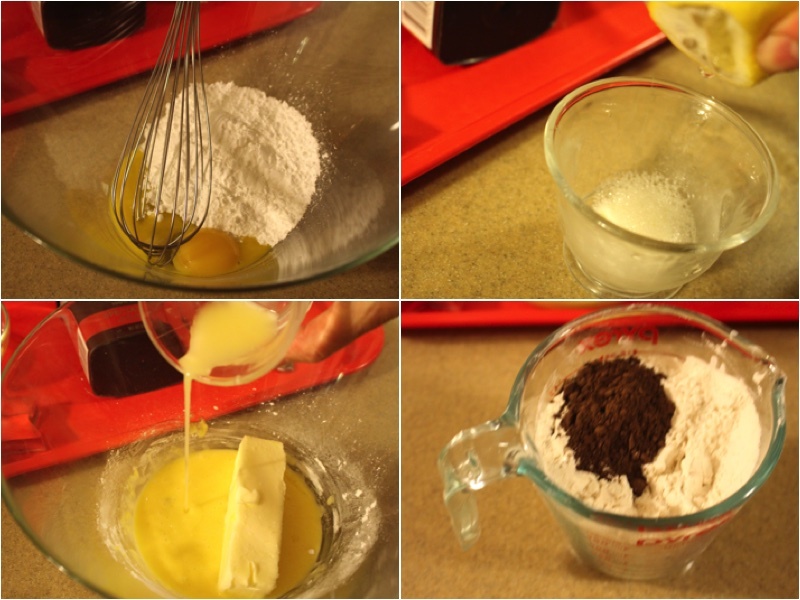 In a mixer mix your sugar and egg whites. Place it in a decoration bag without a tip and pipe custom designs on your stars. Place on a serving dish and enjoy.